Other Local Bands - Columbia Bands, Inc. 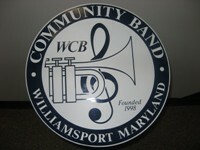 Some community bands have associated smaller ensembles with their own websites/logos. Other small ensembles operate under the umbrella of their "parent" concert band or governing organization. Click on a band's logo to open in a new window. If no logo is available, click on the band's name.